Rear-facing infant seats are always there when you need them most. 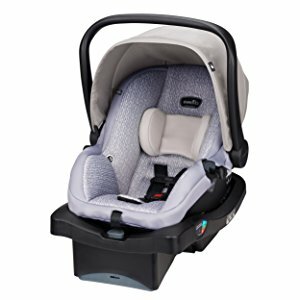 From the moment you take your little bundle of joy home from the hospital, your infant seat is there to safely transport your child home. As your child grows up, the car seat will adapt, allowing you to safely take your child with you wherever you go. Safety is always a key factor that you need to consider. Car crashes and collisions are the leading cause of child fatalities, and it’s devastating for any parent to have to go through that experience. With this in mind, ensuring that you buy the right infant car seat is a huge step in the right direction when it comes to increasing your child’s safety. With so many infant car seats to choose from, it can be a difficult task knowing which one is perfect for your little one. 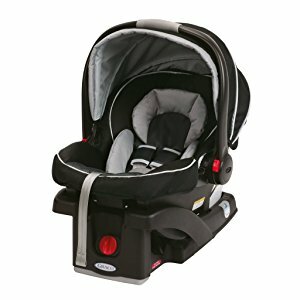 To give you a helping hand, I’ve compiled a list of my favorite car seats currently available. This list will detail the ins and outs of each seat, allowing you to make the best decision possible. If you’re still not sure which one is best for you, scroll down, and you’ll discover my step-by-step buying guide to infant car seats, showing exactly what goes into making the perfect seat so you can make sure your child is safe and comfortable. 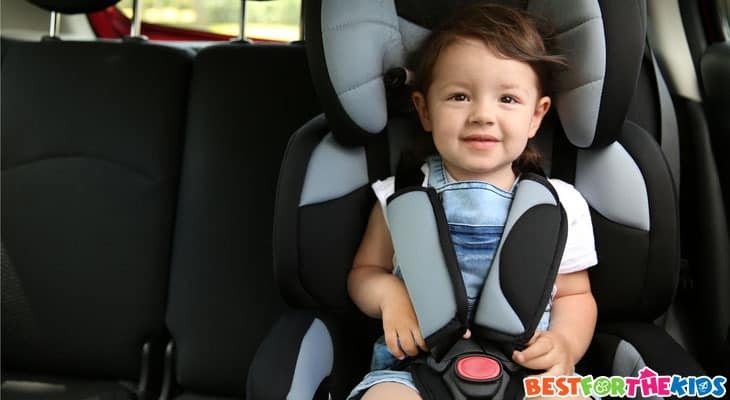 To give you an idea of some of the best infant car seats available today, here are some of the market-leading car seats that will give your child everything they need for safe and comfortable journeys. 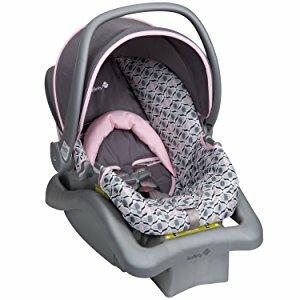 Starting off my list is a car seat from one of the best child product brands in the industry. 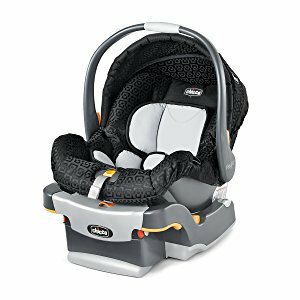 Graco’s SnugRide Car Seat is everything you could want in a car seat and more. This super-lightweight seat makes it easy to transport with you wherever you go while being incredibly easy to install into any vehicle. When installing the seat, the base contains the advanced LATCH system, meaning you can safely and correctly install the seat in a matter of minutes with minimal hassle. Regarding safety, once your child is in the seat, the 5-point harness system keeps them safe, and is easily adjustable for security and comfort, while the above rotating sun canopy can be moved to wherever you need it. The internal area of the seat is made using high-quality fabrics that provide superior levels of comfort, and there’s an adjustable head support feature, giving your baby all the support they need. What's Great About It: The leading feature of this rear-facing car seat is the level of protection this seat provides in the event of a collision. Even little knocks can have an effect on your baby’s body, which is why the Graco seat is built using market-leading EPS foam. This energy absorbing foam effectively diverts kinetic energy sustained from a collision, minimizing the risk of injury to your child. Available in three beautiful and stylish designs, Evenflo has pulled out all the stops for this multi-function car seat. This rear-facing seat is suitable for children weighing between 4lbs and 35lbs, making this seat ideal for newborn babies and toddlers. This seat comes with a detachable base that can stay inside the car once securely fitted using the innovative two-step seatbelt locking system, allowing you to take your child out with you wherever you go. This seat continues to impress with its 4-setting reclining options which allows this seat to fit into a variety of vehicles while maximizing comfort while your child is seated in it. In addition to this comfort, the ergonomic handle ensures that your baby remains stable while in the seat. There’s a three-point harness to ensure your child is locked in safely during journeys, and there’s a removable head pillow to maximize comfort and support for your child while using the seat. What's Great About It: Regarding safety, this seat has been meticulously tested to meet and exceed all the relevant federal safety standards, and is one of the only seats on the market that has been successfully tested to vehicle rollover testing standards. This is thanks to the side-impact foam that absorbs and distributes collision energy. Traditional infant car seats always have the same problem; time-consuming installation. It can take up to 30 minutes to properly install a car seat. However, the UPPAbaby seat has set out to rid this problem once and for all. Using Smart auto-retracting technology, you can simply attach the mini latch system to the belts of your car which automatically sets the desired tension. There’s a red and green indicator to show how secure the seat is, leaving you safe in the knowledge that it's safe. 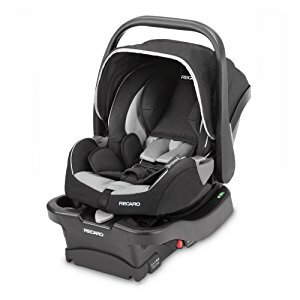 Once the seat is installed, you can easily set your baby into the seat with the no-rethread harness, meaning you can be on the road in a matter of minutes. Regarding comfort, you can set the adjustable headrest to ensure your baby is comfortable, and there are ample levels of support for your child’s head, back, and neck. What's Great About It: In addition to the advanced side-impact technology that helps to protect your child in the event of a crash, there’s also a simple one-handed stroller release, meaning you can quickly and easily detach the seat from the base, allowing you to easily take your baby with you wherever you go. Priding itself on being one of the easiest car seats on the market to install, the base of this seat uses an advanced built-in lock-off system which eliminates the need for a LATCH system, saving you both time and space in your car. The seat can be easily set in and removed as required thanks to the easy one-handed removal button. Suitable for newborn babies and children up to 30lbs, this seat is teeming with comfort and safety features, giving you everything you need for a healthy, safe and happy baby. There’s also a removable insert to ensure your baby is properly fitted and comfortable. The seat boasts a five-point harness system to ensure your child is safely in place in the seat, and there’s a multi-directional and fully adjustable sun canopy to protect your child from the sun, whether you’re in the car or out and about. With added compatibility to other Chicco products, you can use this seat however you need to. Regarding safety, the seat is produced using EPS energy-absorbing foam that provides high levels of protection in the event of a crash. What's Great About It: Ideal for use inside and outside your vehicle, the ergonomically designed handle means you have full control while carrying your baby, while maximizing comfort for you. Additionally, the seat has been rigorously tested to meet all the FMVSS 213 safety standards. 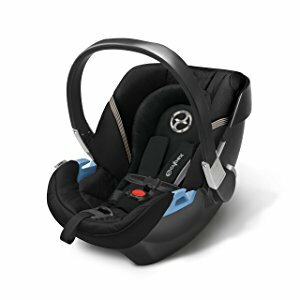 Expertly designed to be ready for that first drive home with your precious little one, the Safety 1st Elite has been researched and developed to be suitable for children weighing 4-22lbs while in the rear-facing position. You can enjoy the safety benefits of a high-security 5-point harness system that’s easily adjustable with one hand. The harness itself can be set to one of four different heights which allow your baby to be as comfortable as possible while using the chair. The seat features a side-impact protection system that assists in the event of a crash, and there’s an infant insert to ensure that your child fits perfectly into the seat. The seat itself can be easily removed from the base, allowing you to quickly and easily take your baby with you wherever you go. The seat can easily be installed into any vehicle thanks to the industry standard LATCH system and even includes LATCH storage so you can use the seat belts of the vehicle if you prefer. 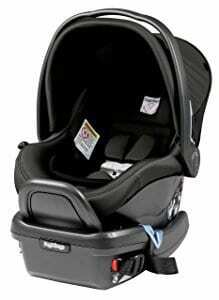 What's Great About It: Aside from all the safety and comfort features that this seat provides, it’s also one of the most affordable infant car seats on my list, making it suitable for all budgets, perfect for keeping your baby safe without breaking the bank. One of the best ways to ensure your child’s happiness while in the car is to maximize the levels of comfort they have while using the seat. This is a feature that the Recaro seat excels in. Whether you’ve got a newborn baby or an older child, the removable insert keeps your baby comfortable and supported. The internal region of the seat prides itself on its memory-foam cloud comfort materials with added temperature control properties that provide your child with superior levels of comfort. What’s more, the internal layers can be easily removed, allowing you to keep the seat clean and hygienic. Your baby can be safely positioned in the seat thanks to the Twist-resistant HERO harness, exclusive technology that maximizes comfort and positioning every time you use the seat. There is no need to re-thread the harness, so the seat is ready to use every time, and is easily adjustable with one hand. You can choose between 5 height positions and two buckle positions, enabling you to adjust the seat to be the perfect fit for your child as they grow. What's Great About It: Proper installation of this lightweight seat has been made incredibly easy thanks to the revolutionary micro-twist feature alongside an integrated bubble spirit level bar, showing you exactly how balanced the seat is so you can be safe in the knowledge that it is securely fastened into place. Safety is one of the most important features to consider when finding the right car seat for your baby. 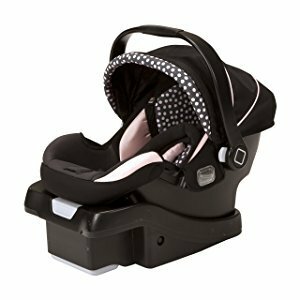 This latest edition car seat from Baby Trend has maximized on its features to ensure the most comfortable and protective ride possible. Suitable for children between 5 and 30lbs, this rear facing seat includes a supportive, comfortable and adjustable head support cushion as well as a leading standard 5-point safety harness that is easily adjustable with one hand. The simple push-button means you can easily take your child out of the seat without any fuss. What’s more, while installing the chair and base into your car, there’s an integrated 4-position push-button so you can simply and easily adjust the height of the chair, allowing you to make the perfect fit. Additionally, there’s also a bubble level indicator, showing you exactly how balanced the seat is so you can check that it’s properly in place. The body of the seat itself is produced using energy absorbing EPS foam, adding to the already high levels of protection in case of a crash. What's Great About It: This seat boasts full compatibility with the rest of the Baby Trend range, including strollers and even diaper changing tables, meaning once your newborn is here, you can easily streamline your life, giving you more time with your baby. If you’re looking for a lightweight car seat and carrier that you can take with you wherever you go, the Cybex Aton could be ideal for you. The Aton boasts an energy absorbing shell around the outside of the seat that provides superior levels of protection in the event of a crash. The seat also prides itself on its innovative L.S.P. system. This stands for Linear Side-Impact Protection which helps to protect your child if an impact occurs on the side of your car. 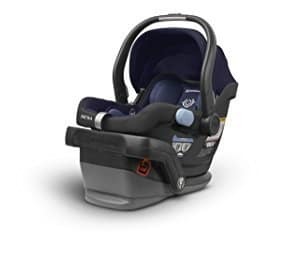 The main safety aspect of this seat is the integrated adjustable load leg which helps prevent the seat from moving forward in the event of a crash, protecting your baby's spine. Installation of this seat is easy thanks to the European Seat Belt routing system which means you can use the seat with or without the base just as effectively, making this ideal for smaller vehicles or for use in multiple vehicles. What's Great About It: In addition to these amazing safety features, the Cybex Aton 2 is extremely lightweight. The adjustable, ergonomic handle means you can easily remove the seat from the car, allowing you to carry your baby safely with you wherever you go, ensuring your baby is always comfortable and supported. As the name suggests, the Air+ car seat is all about the safety of your baby. Using an exclusive and patented GCelll HX system, your child can benefit from optimal levels of protection. This unique system uses standard EPS energy absorbing foam. There are hexagonal spaces between the areas of foam which mean that the kinetic energy from a crash is effectively absorbed and distributed throughout the seat, resulting in minimal stress on your baby’s body. The seat itself is produced using highly durable Air Protect cushions that are expertly designed to protect and support your child’s head while allowing them to enjoy superior levels of comfort, no matter whether you’re in the car or not. The base of the seat boasts the advanced LATCH system which makes for easy installation, meaning whatever car you’re in, you won’t have to spend more than a couple of minutes installing the chair safely. What's Great About It: Let’s face it, children can be messy, but the entire cushioned inside of this seat is easily removable and can be washed in your washing machine, allowing you to maintain the highest level of cleanliness and hygiene, keeping your baby happy and healthy. If you’re looking for one of the most fully-featured infant car seats on the market, the Peg Perego comes with everything you could ever possibly need. The Primo seat is capable of safely supporting children from 4 to 35lbs, making it one of the most versatile seats on my list. The support base included with the seat is completely optional, and the seat can be securely fastened to any vehicle with ease and accuracy. When not using the base, there is a unique color-coded feature that allows you to easily use the seat belts and make sure they are in all the right places. When using the base, you’ll enjoy added safety benefits including the anti-rebound bar, an exclusive feature that stops the seat moving forward sharply in the event of a crash. When not in the car, the seat boasts a short ergonomic handle that keeps you close to your baby while maximizing the lightweight properties of the seat. 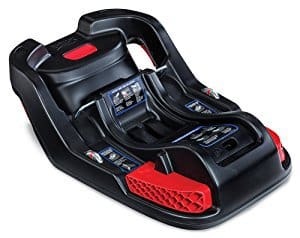 This seat boasts advanced adjustable side-impact protection, and can easily fit into any of its six unique positions, meaning you will never have to re-thread the harnesses again. What's Great About It: The leading feature of this outstanding car seat is the innovative Dual Stage Cushion System. The first stage is specially designed for newborn babies and offers fantastic levels of support and comfort on crucial body areas such as the neck and bottom. The second stage can be implemented as your child grows. These included cushions are used to support your baby’s body in all the right areas, making it ideal for promoting healthy body growth. This award-winning car seat is ideal for parents who want the best features without the expensive price tag. This rear-facing seat is ideal for babies between 4 and 35lbs. Britax has designed this seat to seamlessly integrate into your life with the best features for your baby. The seat can be effortlessly attached to your existing stroller, allowing you to keep the base in your car so it’s always set up and ready to go. Your child will benefit from the patented Britax SafeCell Impact Protection technology with an additional layer of protection; minimizing the risk of injury should you get involved in a collision. The entirety of the seat is extremely easy to install into your car thanks to the lower LATCH system which allows you to effortlessly pull through your center seat belt straps before locking the base into place. What's Great About It: The five-point harness system ensures that your child is safely secured in the chair without the risk of them climbing out. This is no need to re-thread the seat belts, meaning the seat is always setup and ready to go. There are a lot of features that can go into making the ideal car seat for your child. With so many brands and options to choose from, it can become overwhelming trying to decide which one to pick. To give you everything you need to know, here is my complete checklist to ensure you’re making the best decision for you and your baby. One of the leading safety features on any kind of infant car seat is the harness system. These systems are similar to the seat belt systems in your car, but are specially designed for babies. The harness system on your chosen seat needs to be supportive, nurturing your child’s body shape and holding them in place, so no injury occurs in the event of a collision, while being comfortable enough that your child can rest easy. The standard for most infant car seats is a three-point harness system. This will give you straps over both shoulders of your child and one between the legs. This should be enough to comfortably hold your child into position, and padded straps are a fantastic feature to look for regarding comfort. You will usually find this feature on the more affordable car seats. However, if you’re looking for optimal safety levels for your child, it’s highly advised that you choose a car seat with a five-point harness system. This is similar to the three-point, but you’ll get two extra straps around the waist. A comfortable baby is a happy baby, and there’s no exception here. If you’re taking your baby in the car a lot, you’re going to want a comfortable car seat. This can be achieved by looking at the materials used to make the seating area of the seat. They need to be soft and supportive, and an adjustable and detachable head pillow for support is always a bonus. If you’re looking for optimal comfort, look for a car seat with a memory foam interior. This will naturally cushion the shape of your child’s body, giving them the best level of comfort possible. Leading car seats will be made out of EPS foam. This energy absorbing material is ideal for soaking up any kinetic energy if your vehicle gets into a crash. If a crash was to occur with your baby in the car, no matter how small, your child’s body is extremely fragile and any level of shock could injury your baby. This is why car seats have been designed with this technology. 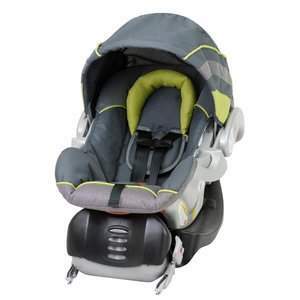 With the seat absorbing most of the shock, your baby will be at a minimized risk of injury. We all dread the moments where you’re in a car or trying to put your baby in a car, and they simply won’t stop crying. The last thing you want in these situations is a harness system or difficult to use seat. Many of the leading seats, most of which are on my list, come with a simple one-handed operation buttons. This means you can easily detach the seat from the base in a matter of seconds, enabling you to easily remove the seat from the car and soothe your child. When looking into which car seat is perfect for you, it’s essential that you look into what weights the seat supports. If you’ve got a newborn baby, you’ll want a seat that can support a child from 4lbs or above. Likewise, if your child weighs 30lbs, a 20lbs seat won't work, and can lead to the seat becoming unsafe as it is not designed to handle those weights. You’ll want to consider the height of your baby to ensure they fit comfortably and properly into the seat. Always refer to the product description to ensure you are making the right decision. Choosing the right car seat for your child make just seem like a matter of convenience when it’s quite possibly one of the most important decisions you can make as a parent. Take the time to ensure you are choosing the right one before making the purchase and you can rest assured that your baby is enjoying optimal levels of comfort while traveling as safely as possible.